1) Peanut Butter: Peanut butter makes a yummy snack for humans and dogs alike. Peanut butter gives dogs protein, healthy fat, vitamin B and E, and other beneficial nutrients. Choose a peanut butter that is unsalted and that does not contain sugar substitutes. A common sugar substitute is xylitol, which is toxic for dogs. 2) Carrots: These crunchy snacks are fun to give and fun to eat. Carrots are low in calories and also contain vitamin A, which helps your dog’s immune system and promotes healthy skin and coat. Not only do dogs love the crunch of chewing on a carrot, but carrots actually help the dog’s dental health by helping to remove plaque on your dog’s teeth. It’s a win-win! 3) Chicken: Humans may reach for chicken as an easy, high-protein snack, but did you know it makes a good snack for dogs too? As long as it’s cooked, and not heavily seasoned or flavored, chicken makes for a perfect snack or treat. 4) Yogurt: You may have heard of the amazing things probiotics are capable of doing for humans. Have you thought about it in relation to your dog? The probiotics in plain (unsweetened and unflavored) yogurt can help your dog become more regular and alleviate some upset stomach issues. Make sure that you’re choosing a yogurt with active live cultures. 5) Eggs: If you’re making yourself eggs, it’s okay to share some with your furry friend. Eggs for dogs should be cooked without salt or any other seasoning. They’re a great way to give your dog protein and necessary amino acids. As an added bonus, you can feed your dog small amounts of raw eggs, as egg yolks are high in Biotin, which helps keep their coat healthy. 6) Green Beans: If you’ve ever had a dog that needed to lose some weight, you may be familiar with this snack. Green beans are a popular snack for dogs that need some treats without the high-calorie content. Green beans are also high in fiber and are filling to eat as an added snack into a dog’s diet. 7) Sweet Potatoes: If you’re cubing up sweet potatoes to roast, you can treat Fido to a few pieces. When cooked (you can steam or bake them) without seasoning, these are high in vitamin A. High in fiber as well; these snacks are a delicious addition to your dog’s snack list. 8) Pumpkin: Pumpkin is a powerhouse snack that is full of vitamins and minerals essential to your dog’s health. Not only that, but it also boasts a high fiber content as well as assists in weight loss. Dogs will love the taste of this healthy treat while getting great benefits from it as well. 9) Rice: This popular side dish is a healthy treat to add to a dog’s meal. The rice contains complex carbohydrates, which work to make your dog feel full. Rice also has Niacin (Vitamin B3), which helps with a dog’s bone growth. Rice is a tasty treat that can be served unseasoned. 10) Oatmeal: While humans love oatmeal for breakfast, dogs like it any time of the day! When served unseasoned and unsweetened, oatmeal is a high-fiber way to help regulate glucose levels in the blood. If your dog has grain sensitivity to other grains, they may actually be able to tolerate oatmeal. 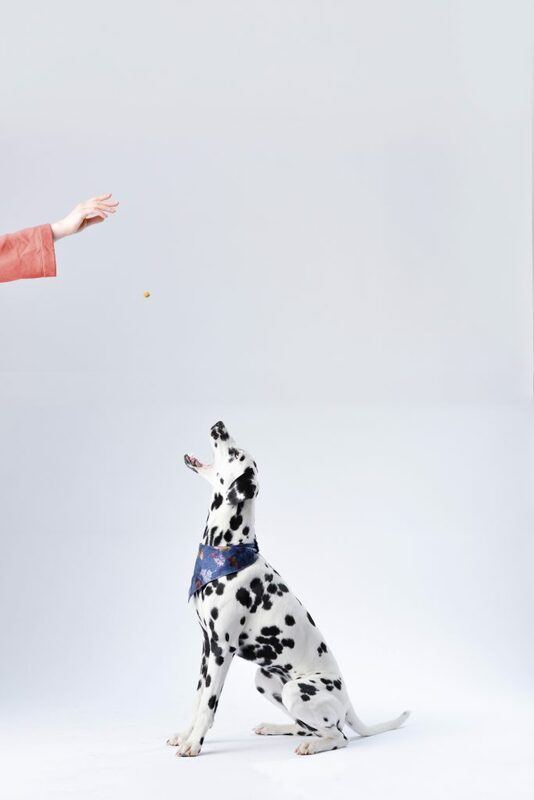 We hope you and your dog are able to enjoy some nutritious and delicious snacks together. Share the love with your best fur-friend and treat them to something special in addition to their normal diet. Next PostNext Are Pets a Good Present?